The CompCalc Plus 2018 & CompCalc Windows are updated with the 2017 indemnity figures for calculation of PD and TD. Additionally, the CompCalc Plus 2018 also provides for saving/printing/emailing not only ratings, but now also Present Value/COLA calculation for awards of Total Disability/Life Pensions. We have also provided for a direct override by the user for weekly rate for TD and PD either by inputting the AWW for calculation of the appropriate TD/PD weekly rates or by simply inputting the TD/PD weekly rate where known. Additionally, on the PD indemnity module we added the option for the user to select combine value calculation allowing the user to input up to eight PD percentages. Further, given the DOI and max rate is applied, or the user may input AWW for calculation of the final PD after application of the Combined Value Equation. Last, we have updated our support and training videos, allowing mastery of the CompCalc Plus 2017 by viewing three short training videos taking less than 15 minutes!! All Version of the CompCalc Plus 2018, and CompCalc Windows also includes a full PD rating schedule which automatically creates a rating string adjusting the WPI given the Part of Body, Age, Occupation, and DFEC. The CompCalc also incorporates a relational database for Occupation and Part of Body making input intuitive and simple. 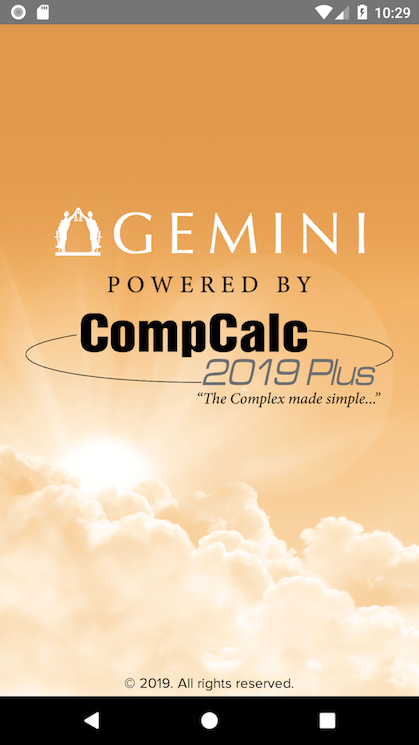 All Versions of the CompCalc Plus 2018 and CompCalc Windows also includes a California Workers’ Compensation Indemnity Calculator that calculates Permanent Disability, Temporary Disability, Life Pension, Supplemental Job Displacement Benefits and Death Benefits, for the given date of industrial injury. Also, the CompCalc calculates TD liability for a given period based on the default max weekly rate for the date of industrial injury or a TD rate based on AWW manually imputed, or actual TD rate where known. The CompCalc also provides Life Expectancy given the current age and based upon the 2010 U.S. Life Table as provided by the U.S. Census Bureau. Other features also include a Date Calculator, full listing of QME/Body Codes and full access to support and training videos. Richard Montarbo is a graduate of the University of the Pacific, McGeorge School of Law and holds degrees in Business Economics and Computer Science. Mr. Montarbo is the architect behind Current Issues, Workers’ Compensation Conference, is a frequent speaker and presenter at various Worker's Compensation conferences, and is the author and editor of the Work Comp Index, a Lexis/Nexus publication. Mr. Montarbo is a Certified Specialists in the field of California Workers’ Compensation Law and has for over 26 years exclusively represented defendants in Workers’ Compensation and Labor litigation. He was also an adjunct professor at the University of the Pacific, McGeorge School of Law. See the WorkCompCentral Press Release about CompCalc Windows 10 here! The windows version is being converted to a new Windows Platform - UWP (Universal Windows Platform) and will be available for download at the Windows store.